Gallery / Saga Press, 9781481444293, 432pp. * "[A] skillfully orchestrated tale...[a]this novel of grand ideas, bringing relatable human motives and vulnerabilities to a world in which industry, government, warfare, and space travel are inextricably intertwined." "A good female-centric space opera." 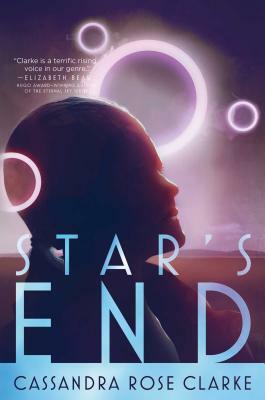 "Star's End has the beautiful craftsmanship of a fine watch...A family drama that mixes corporate espionage and first contact, set across a planetary system that feels lived it. It is a marvel without ever shouting about its own marvelousness."